Amelia Tree Conservancy urges the Nassau County School Board and Superintendent to terminate their agreement to sell the property east of Citrona. The School Board property on Citrona should remain undeveloped and protected by a conservation easement. This outcome will be to the advantage of the City and all parts of the County, which depend on strong income from property taxes on Amelia Island. Further, it is to no one’s advantage to deprive future generations of their heritage and birthright. In its ecological and storm water management contributions to the county, this property pays for itself. North Florida Land Trust has received a matching grant of $250,000 from a member of our community. 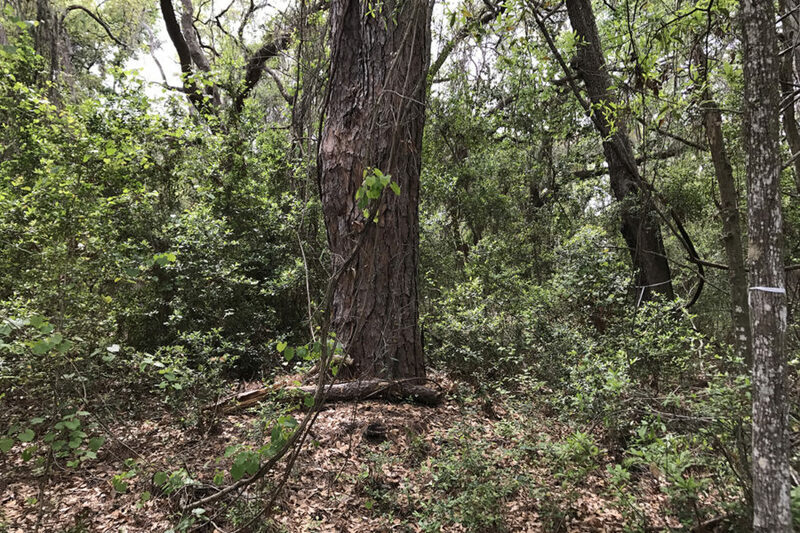 North Florida Land Trust, Amelia Tree Conservancy and the Amelia Island community will work to raise the funds to conserve this property. Why is it important to leave this property undeveloped? 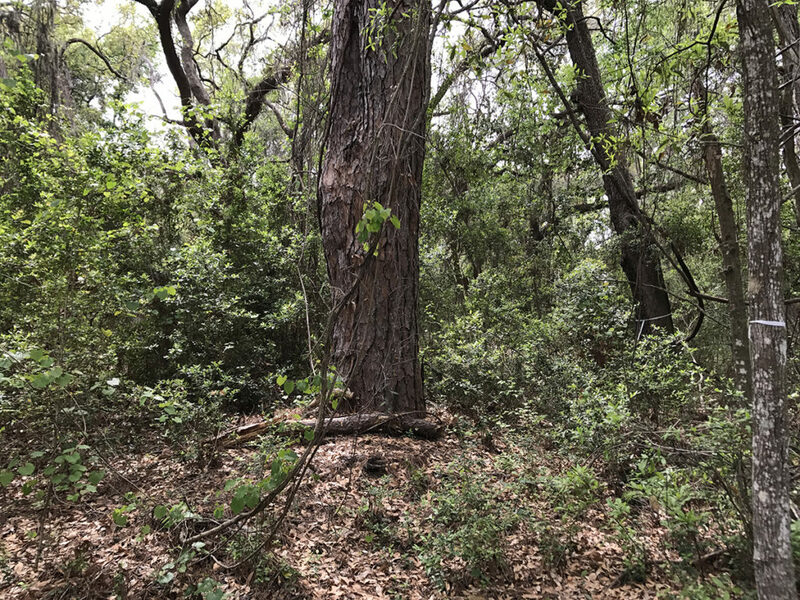 This property is perhaps the best example of mature maritime forest on public property in the City of Fernandina Beach. Conservation is important for future generations: It constitutes part of their education. It is part of their heritage and birthright. A conservation easement is essential to secure the conservation. If canopy loss continues at the current pace, we will soon be at a point where we will no longer be able to attract tourists or residents, like so many other communities around our coasts who have destroyed their environments and devastated their economies in the process. What are the benefits of the trees on this property? Perhaps the strongest reason for conserving the Citrona School Board Property under discussion is the benefits the City and island reap annually from the trees on this property. To quantify these benefits, we utilized i-Tree (www.itreetools.org), a state-of-the-art and peer-reviewed software suite initially released in 2006 by the USDA Forest Service. These tools were the result of a collaborative effort involving the US Forest Service, the Arbor Day Foundation, the International Society of Arboriculture, Davy Tree and Casey Trees. The following data demonstrate the contributions of the trees on this property and our loss in developing the property. The total value of this air quality improvement and reduction of carbon dioxide on this property is $4,603.90 per year. CO2: The trees on this property store 1,864.75 tons of Carbon Dioxide within the trees themselves. This cannot be converted to an annual rate. The value of this carbon dioxide storage is $65,742.51. Storm water runoff: Based on i-Tree Design (www.itreetools.org). The most common trees on this property are Laurel Oaks (approximately 240), Water Oaks (approximately 185), Live Oaks (approximately 151) and Loblolly Pines (approximately 25). A measurement was taken for an average tree of each type, and the capacity for storm water runoff interception was calculated based on this average tree. Total: The 601 trees listed have the capacity to intercept 1,654,201 gallons of storm water annually.